Looking of an up and coming community? Ridgedale is your place. Located 10 miles south of Branson on the Arkansas state line Ridgedale is growing rapidly. Home to Bid Cedar Resort sitting on Table Rock Lake is just one of the unique items in Ridgedale. Big Cedar Resort is known for its log cabins, immaculate landscaping, and picture perfect views of Table Rock Lake. Big Cedar Resort has been in the area for many years now offering guest an unique experience. The resort offers on site boat rental, fishing guides, restaurants, shops, putt putt, golf, swimming, and even a spa. Owned by John Morris and located just next door to Big Cedar is Top of the Rock. Top of the Rock has multiple award winning restaurants and two golf courses. The first golf course is a Jack Nicklaus Signature course and the second course named Buffalo Ridge is a Tom Fazio designed course. Top of the Rock is home to the Legends of Golf tournament held annually at Big Cedar Lodge. 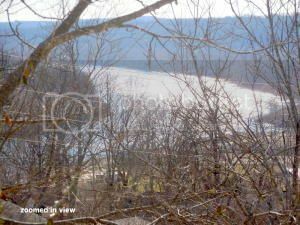 Ridgedale also sits right along the edge of Table Rock Lake. The views from the top point are just as majestic as sitting on the shore line. Every day you can see the Branson Show Boat Branson Bell come past. Branson Show Boat Branson Bell is a paddle wheel boat that contains an extraordinary live entertainment show. One of the performers even hangs from a rope while she plays the Villon. WOW is all I have to say in regards to this performer. Branson Show Boat was first placed in the water using hundreds of banana peels. Yes you read that correct, banana peels helped slide this massive boat into the water.